But the novelty wears off quickly — both for those who are older, and for those young people themselves. For those over the magical age of 35 or 40, there can be a sense of neglect and invisibility. And for those of us under those magical ages, well, we’re also getting tired of being called to the “kids’ table.” It often feels like we are expected to generate ideas and solutions without any real access to power, awareness of the struggles we face, or actually changing anything. Yet, as we look toward our future, it is clear that we need to find ways to cultivate and support newer generations. 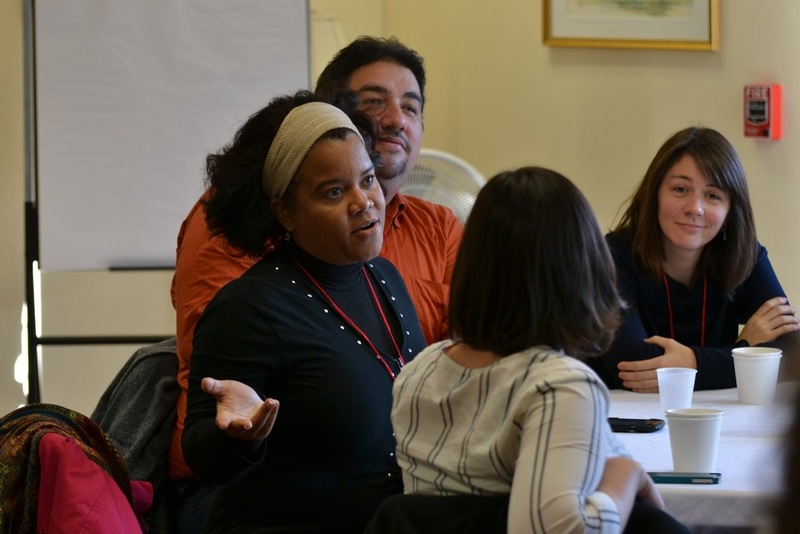 As the Synod of the Northeast lives into the New Way Forward, we are striving to be a more inclusive and welcoming community of faith, making room especially for the voices we have historically marginalized. This includes our younger members. The Synod has done a great job of opening space and supporting our emerging leaders in determining and providing for what they themselves would find most helpful. The answer: community. The Emerging Leaders Gatherings over the last two years have been framed by the eighth ordination question (for all ordained offices alike) in which we promise to “seek to serve the people with energy, intelligence, imagination, and love” (W-4.4003h). Through a variety of activities and free time (an almost unheard of luxury for many of us), we connected with one another around our personal stories. We shared our experiences, identifying the ways in which we find it challenging to serve with those four qualities, and celebrating the ways in which we have succeeded. 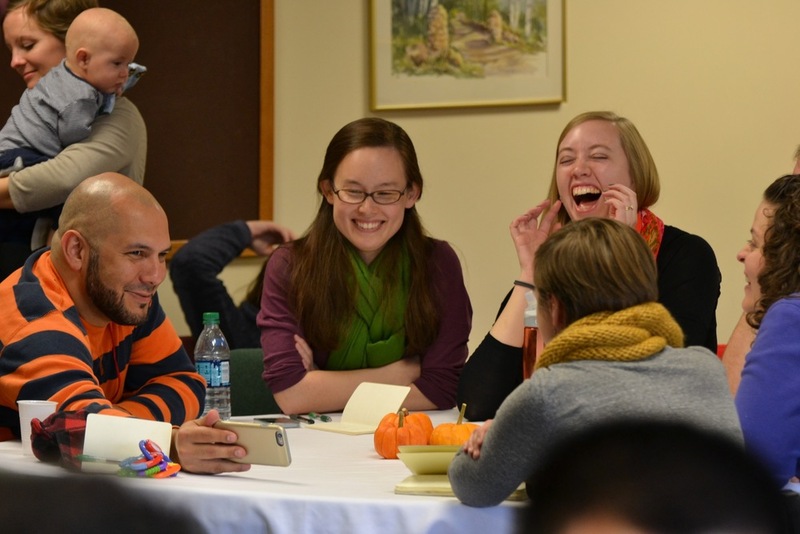 Though the group includes a wide diversity of people from different backgrounds, cultural contexts, theological beliefs, and ministry contexts, there is yet a profound resonance among members. Though the details of our experiences may differ, we have found that we share many struggles, doubts, and concerns, as well as hopes and dreams too. We share similar perspectives on our current reality and the future, and find ourselves united in our dilemmas and particular commitment to the Church. While we cannot address all these things ourselves, beginning to form a network of support, shared insight, and collaboration has been incredibly life-giving. The overwhelming response among participants has been gratitude. What the Synod has done for us in terms of creating space and making it possible to gather (and define what will be helpful) has been an incredible gift. Additionally, the knowledge that we are not alone in the struggles and joys we face means everything. Generative, non-anxious spaces are rare in church life these days, and we feel particularly blessed and lucky to have found this one. Thank you for supporting this ministry! This kind of community and encouragement means so much. The Synod’s innovative partnership is important and deeply appreciated. Here are a few of the particular challenges our emerging leaders are facing. Please hold them in your prayers, and consider joining the conversation about how the Church can address them. A strong and healthy Church will have strong and healthy leaders. Let us strive together to help the Church become a source of life to all! In a society that is dramatically changing, life in the Church is even more uncertain. In an already difficult job market, ministry positions, especially those that are full-time, are particularly few and far-between, and even those often feel tenuous. In the age of dwindling church attendance and evaporating budgets, it is a precarious time to begin a career in ministry. Not only does this reality present practical challenges, it also contributes to a deeper sense of existential dilemma. Many of us frequently wrestle with our sense of call and vocational identity. We are also dealing with the anxieties of our ministry settings. The expectations placed upon younger leaders to come up with innovative solutions seems especially great. In addition to being incredibly isolating, this often puts us at odds with our congregations and other ministry constituents. Together, all these factors often lead to stressful, anxiety-producing, and burnout-inducing environments. Many wonderful and capable young people are leaving ministry, preemptively avoiding it, or in some cases leaving the Church altogether. If we want the church to be as vibrant and alive as it can be, we will need to find ways to make ministry safer for those who commit themselves to its service. Today’s graduates in nearly every field face an uncertain job market and an overwhelming load of student debt. Add to that a mandatory master’s degree for entry-level, often part-time work at minimal pay, and the student debt of many of our young pastors becomes crippling. Our spouses, if we have them, share the same challenges and carry their own loads of student debt. As the reality of Church life continues to change, and even as budgets shrink and churches close, we trust that Christ’s Church will survive and that God is still active in the world. We are excited to be a part of discovering the new things God is calling the Church to do and be. But we cannot help but wonder and worry about what this means for our ability to feed our families as well. For those who are engaging in new models of doing church, the circumstances are even more tenuous. It’s difficult to imagine taking a risk on a low-paying church-plant, which may not become self-sustaining for 7-10 years (if ever), while making monthly payments on student loans and surviving on part-time salaries. Particularly for those serving in part-time calls, benefits are disappearing. Health insurance, paid vacation, and pension or retirement savings are not realities we can count on. This can be more true in fields outside the church, thanks to Presbytery minimum requirements (although they don’t always apply to calls less than half-time). But even with the minimum requirements we are facing greater challenges with the end of dependent coverage and the new portable plans from the Board of Pensions. While these are concerns for us all, they can be especially important for those with young families. Our Church needs the work of committed young people who will help us discover and live into a new vision for our future. But our benefit should not and cannot come at their expense. The security of our future should not cost our young leaders theirs. How can we help make ministry a financially feasible option and free our leaders to commit themselves to that work? Some seminaries and church bodies have realized that pastors need a new set of skills today, and are training younger pastors accordingly. While an atmosphere of imagination and risk-taking can be fertile ground, it can also create an environment where certain colleagues become “stars” for their ingenious new church development ideas. This can, at times, contribute to a culture of competition, resentment, jealousy, and pressure to achieve, rather than the nurturing and collaborative community of fellow young pastors we might hope we would find instead. We can, and should, celebrate those who are working to take risks in imagining our Church’s future. However, we need to be mindful of our tendency to idolize those people and ministries that succeed. Can we discover new ways to think about church innovation that are collaborative — across age, cultural and other differences — so that we might imagine the church together? What skill sets do we need now that we didn’t know we needed before? Are there ways we can learn as a community, building up our common skills and knowledge, instead of relying on one or two particularly entrepreneurial folks? How might presbyteries become environments in which it is safe and valuable to fail — as well as to succeed? Only then will we find the freedom to live into the new realities of church that God is already at work creating. Meagan is the the half-time pastor at The Presbyterian Church in Clinton, MA, and also serves as the Administrative Coordinator of the Massachusetts Council of Churches. Margaret is the Associate Pastor at The Presbyterian Church at Pluckemin in New Jersey. Older PostAre you called to be a Mediator?